On June 25, 2018, the FDA made history by approving Epidiolex, a cannabinoid-based drug, for the treatment of epilepsy in children. As reported by Prevention Magazine, on their website, the FDA approved drug uses a purified form of cannabidiol (CBD) oil to treat two rare and severe forms of epilepsy occurring in pediatric patients ages two and older. In clinical trials, Epidiolex, the first cannabinoid approved by the FDA, was found to reduce seizures in patients with Dravet syndrome and Lennox-Gastaut syndrome and did not result in the harsh side effects of typical epilepsy drugs, which can include blurred vision, nausea, and liver problems. CBD is a derivative of cannabis that does not have psychoactive properties, and therefore does not result in a “high.” The cannabinoid drug Epidiolex is being produced by GW Pharmaceuticals. Prior to the FDA approval of this cannabinoid-based medicine, an amendment to SB17-017 was passed last year, which allows minors to receive medical marijuana, stipulated that two physicians, one of whom must be a board-certified pediatrician, a board-certified family physician, or a board-certified child and adolescent psychiatrist who is part of the family’s medical care team, must prescribe medical marijuana for any person under the age of 18, and each of the patient’s parents residing in Colorado must consent to this treatment in writing to the state health department, with one parent consenting in writing to serve as the patient’s primary caregiver. Although CBD is legal in a majority of the country’s individual states, CBD oil is currently still classified as a Schedule I drug with no medicinal value by the Drug Enforcement Administration (DEA). This means that before the drug’s manufacturer can market it to the public, the DEA will need to change its classification for FDA approved drugs. FDA approval of cannabinoid-based medicine Epidiolex is welcome news to parents of children across the nation who currently suffer from the debilitating effects of epilepsy and is seen as an indication of good things to come for the future of other marijuana-derived medications becoming available for a variety of illnesses and chronic conditions, including other seizure disorders, chronic pain, and cancer. It is not clear whether insurance companies will step up and cover the cost of this cannabinoid drug or future cannabinoid-derived medications that receive FDA approval. Currently, CBD tinctures can be costly, and parents of children with epilepsy are forced to pay out of pocket to fill their legal prescriptions. 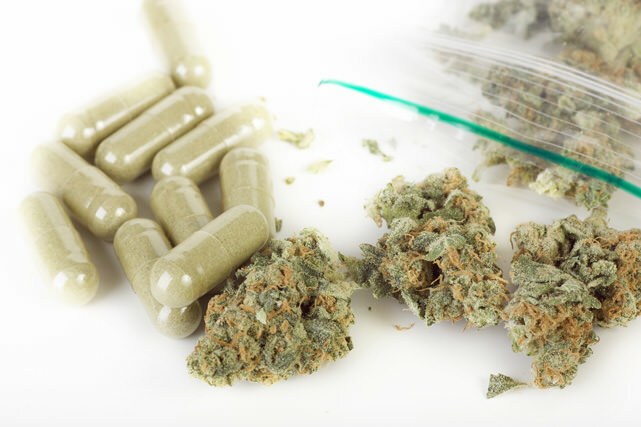 If you have questions about the proper application of medical marijuana for your situation, please contact Medical Alternatives Clinics at (719) 246-0393 or email us your questions at: hello@medicalalternativesclinics.com. If you would like to schedule an appointment, please visit our online portal. We offer convenient same day appointments for current and prospective medical marijuana patients, and we can help you get your MMJ Red Card in three days or less!